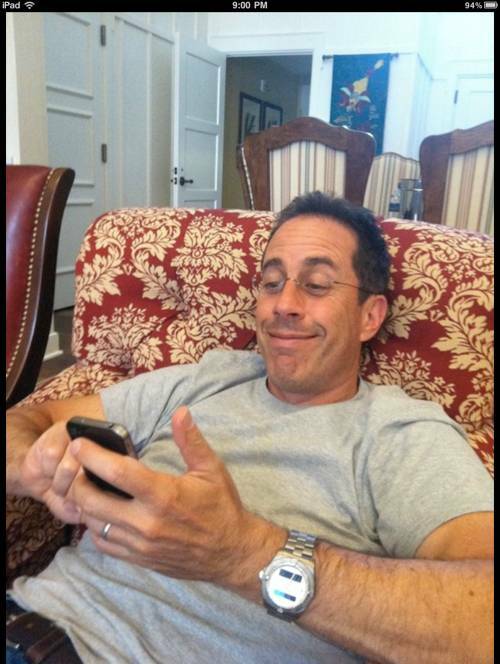 “Jerry Seinfeld is now a member of the Twitterati, sending his first two tweets out this Friday,” Ben Parr reports for Mashable. MacDailyNews Take: Because you’ve obviously been an Apple Man forever and continue to be, we almost forgive you for those godawful Microsoft commercials, Jerry. Almost. MDN take is gold! It’s gold Jerry! What is a “twitterati” anyway? A former Gates commercial performer who twats now and then? I love “Seinfeld”, but it’s too bad that all he’s doing these days is that stupid “Marriage Ref”. Do something good or stay out of sight, Jerry. Hey, at least it’s Seinfeld and not Limbaugh! Seinfeld I like! A poll taken at the time of those Seinfeld commercials showed that most people thought they were for jeans. Great job, Micro$ucks marketing team!